There are many options available for those people needing to lose weight quickly or attempting to gain control and lose weight through a medical weight loss plan. Regardless of the direction a person may take, diet and exercise will be the biggest obstacles and most effective friends of weight loss. Severely overweight people, or those dealing with complications due to excessive weight such as diabetes, high blood pressure and cardiovascular issues, may look to a medical weight loss program for help losing weight. In many medical weight-loss programs a nutritionist or physician will guide the individual and design a diet and exercise plan that will benefit the individual’s personal needs as well as their level of fitness. Food for the diet may be supplied by the doctor as part of the plan. Regardless of the program guidelines, the diet will eventually be designed to reintroduce every day grocery store food back into the individual’s lifestyle so that they may benefit from maximum nutrition during the maintenance phase. For those who choose bariatric surgery, weight loss may be dramatic. Following surgery, a beneficial diet consisting of nutritional low fat, low calorie foods, combined with regular physical exercise, will be implemented. As the patient’s goal weight is achieved, the patient must employ the knowledge accumulated over months of dieting and exercise to add nutritional alternatives to their diet plan that will help maintain the weight loss. Others may choose a very low calorie diet plan that restricts calorie intake to about eight hundred calories a day. A normal diet plan consists of about twelve hundred to fifteen hundred calories a day. With this type of medical weight loss plan, maximum weight loss may be achieved quickly, but a very low calorie diet will consist of shakes and dietary supplements that will eventually be replaced with a normal low calorie diet plan. As with the other plans proper exercise is necessary to achieve healthy weight loss while improving overall health. 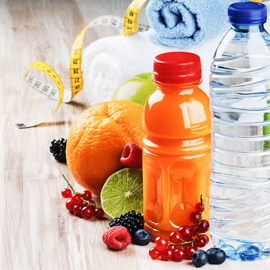 All the options available have their benefits, but the most important point to remember is that nutrition along with proper exercise will increase weight loss as well as make it easier to maintain the weight loss over the long term.